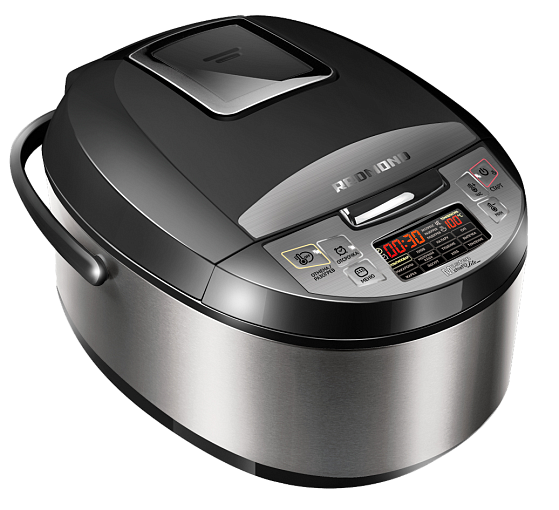 This elegant but inexpensive multicooker is powerfully unique for its price range and functionality. The 4510 differs from the 4500E as it comes with the MASTERCHEF LITE function which allows users to create their own programs as well as change the time and temperature in the pre-existing automatic programs. The 4510 has 13 automatic programs so it can easily cook a variety of dishes. It also comes with the 100 Recipes cookbook developed by REDMOND chefs and designed specifically for this model. REDMOND chefs designed this colorfully illustrated book with 100 recipes. All recipes were adapted for cooking in the RMC-M4510. Each recipe has a clear guide on the ingredients, step-by-step instructions and it comes with tips.